Empirical Science laboratories support groups and individuals engaged with national science education curricula and technology business training needs. We bridge the laboratory skills gap between education and industry. Our customers range from students aged 11-19 to experienced professionals. 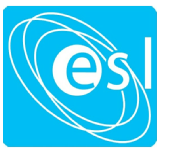 ESL Training also provides business support in acquisition of R&D funding from European (Horizon 2020) and National (Technology Strategy Board) programmes. For details of our services please view the relevant tab.